From the End of the World we rounded Cape Horn and made our way to Stanley in the Falkland Islands where penguins rule – 350 for every person. Who cares if there are no trees or mammals on the island and the winds blows daily. The flora is breathtaking. White rugged rock formations rise out from the squishy ground – penguins hang out in coffee klatches while dolphins dance off shore. The town is colorful and tidy – no traffic lights or department stores but oh so British – with a smashing of Range Rover Defenders driving on the left. Fish and chips washed down with warmish beer complemented the day. Onward to Buenos Aires where we permanently secured our sea legs. After being off the grid for 5 days we were anxious to book a flight home – the luxury of living our lives without plans. It was important to be home with our friends who are grieving. We did a power foray of the hot spots in Buenos Aires (Recoleta Cemetery, Casa Rosada, San Telmo, Palermo, La Boca and Centro) and rang in the New Year. 2 long plane flights later and we are now back home. Heck, we are even planning a trip to Winnemucca! This entry was posted in Argentina, Falkland Islands, South America and tagged At the Range, Buenos Aires, Falkland Islands, Penguins, Photography, Recoleta, Stanley, Street Art, Tango, Travel on January 10, 2015 by Bill and Paige. 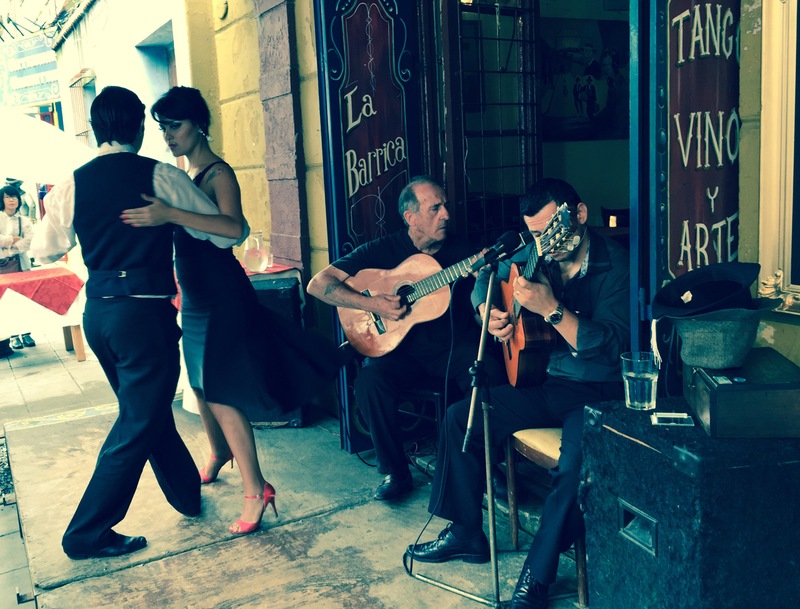 This entry was posted in Argentina, Photo of the Day 2014, South America and tagged Buenos Aires, Dancing, Photo of the Day, Photography, Tango, Travel on December 31, 2014 by Bill and Paige.